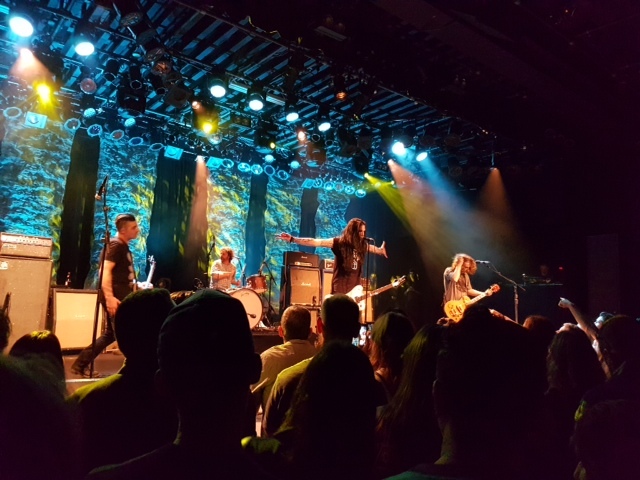 Everybody’s favourite Canadian guitar-rock band from the ’90s–well, mine anyway–kicked off its 15-date Canadian tour with a show at the Commodore last night. 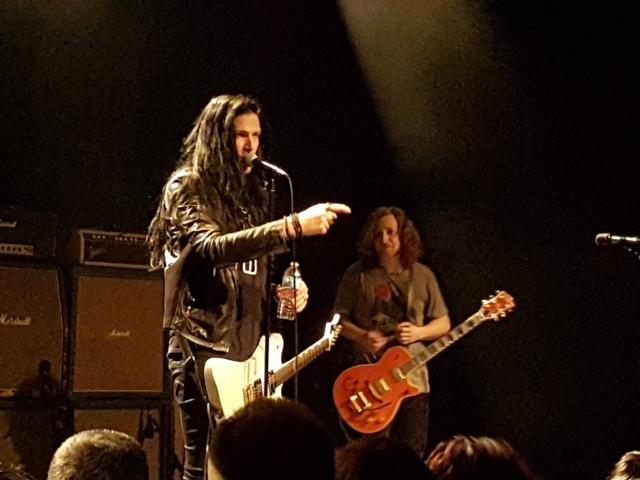 Last April all four original members of the Age of Electric–singer-guitarists Todd Kerns and Ryan Dahle, bassist John Kerns, and drummer-vocalist Kurt Dahle–reunited for their first Vancouver gig in some 18 years, and it was brilliant, according to this review by one distinguished scholar of the rockin’ arts. 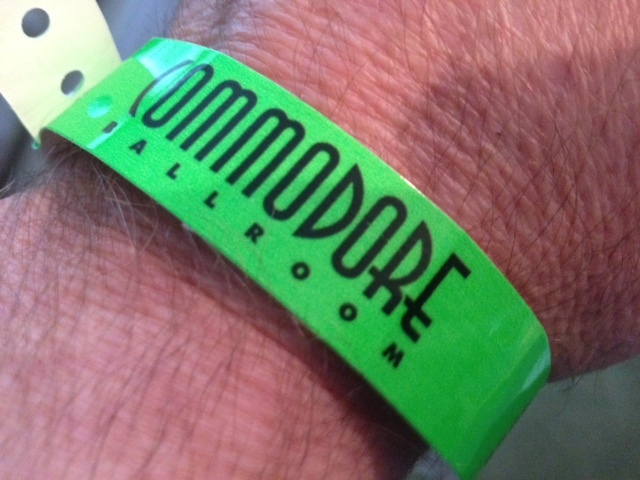 After the show a crowd of about 30 fans, family, and friends donned neon-green Commodore Ballroom wristbands and headed backstage to congratulate the guys and mostly ignore the dozen or so Kokanees huddled together in the cooler. I didn’t see Kurt Dahle there–you know how drummers can be–but I made sure to say howdy to the other three guys. 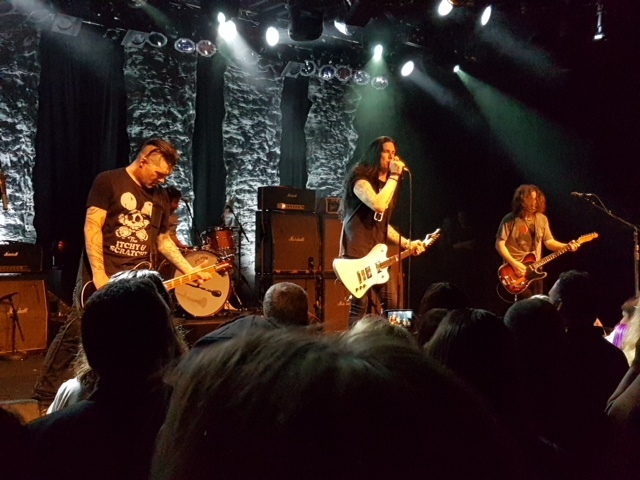 I’ve interviewed Ryan Dahle and Todd Kerns a few times over the years, covering their roles as Vancouver-based solo artists as well as members of great bands like Limblifter and Static in Stereo, respectively. 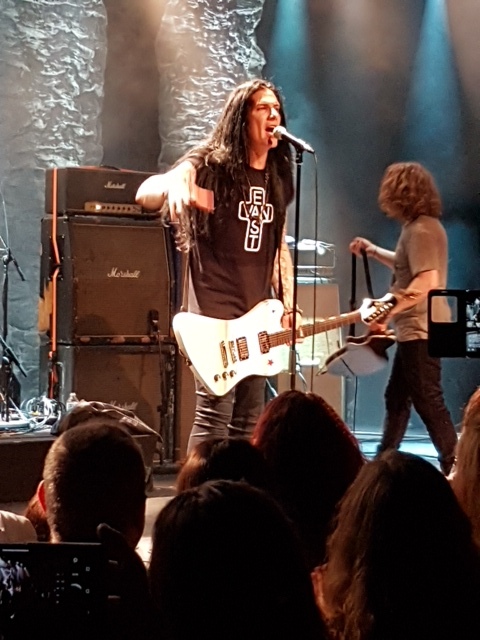 As you’re likely aware, Kerns has spent several years touring and recording with American guitar legend Slash as bassist and backing vocalist with his band. It hasn’t gone to his head, though. He’s still the same super-friendly, rock-crazed guy who showed me all the cool collectibles strewn around his Burnaby townhouse back in 2004 after releasing his solo debut Go Time! on Bif Naked’s label. Heck, he didn’t even flinch when my tipsy nephew, ace concert photographer Jeff “Eyes of Newt” Sutherland, dropped a beer bottle on his toe. Ya gotta like that. Here’s the remaining tour dates. Catch them if you can.